GoMyWay, a leading ride-sharing platform in Nigeria that connects passengers with car owners going along the same route, is excited to reach a milestone this June, marking one year of providing an innovative, rewarding and environment-friendly means of transportation. Over the past 12 months, GoMyWay has grown from being a mere dream of its founders to a platform with over 4000 registered members and over 30,000 seats offered across 20 states in Nigeria including Abuja, Lagos, Kaduna, and Port-Harcourt. During its first year, GoMyWay has not only innovated around the standard mode of transportation in Nigeria, it has also helped improve community spirit by building relationships amongst people of diverse cultural backgrounds. Aside this, GoMyWay is most notably helping Nigerians cushion the effect of the recurring fuel scarcity and increase in fuel price that has hit the country in recent time. 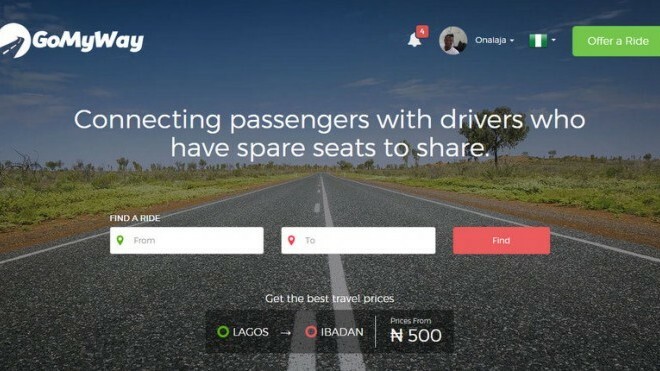 “The benefits of ride-sharing to Nigeria, its citizens and the environment are huge. It has also been interesting to see the role it plays in building new connections, which is something we highlighted in our anniversary video. Our goal is to continue to build a wider and more trusted community of ride-sharers, with major presence in key states in the country; and in a not too distant future, roll out to other african countries. ” says Damilola Teidi (CEO/Co-founder). To mark its first anniversary, GoMyWay has released a short video featuring members of her community recounting their ride share experiences and the interesting connections they have built. Watch the video here .